United Left is a self-funded organisation for UNITE members, with the principal aim of promoting a socialist agenda within the Union, committed to campaigning for a democratic union controlled by the members, within a culture of lay delegative structures.  A lay member controlled, democratic union, which is responsive to the needs and aspirations of its membership, operates in a spirit of open debate, tolerance, and fairness, and opposes authoritarian and dictatorial approaches. United Left is committed to equality and opposed to all forms of discrimination on grounds of gender, sexuality, race, disability, age, religion or belief.  A union with a political voice fighting on behalf of working peoples’ interests, and using its strength to influence the political agenda locally, regionally, nationally and internationally. United Left is firmly committed to the achievement of a socialist economic, social and political system, by means of both parliamentary and extra-parliamentary approaches. United Left is not an unconstitutional body in its relations with the union, in that it does not seek to subvert, or replace the democracy of the union, but to support it. United Left is therefore formally non-constitutional in that it provides a forum for like-minded individuals, who support its general aims and objectives, to come together for mutual discussion in support of the union’s wider objectives. United Left is firmly and unchangingly committed to a process of open and inclusive debate, achieving unity without recourse to majority and minority positions on motions. Whilst recognising that United Left will comprise of individuals from varying political backgrounds and views, United Left recognises the strength of unity achieved through consensus. It accepts that on some issues consensus cannot be found and a position therefore cannot be taken, but firmly believes that this is the best formula to avoid division and build a strong United Left within UNITE. 1. There shall be a United Left Organisation in each of the ten Regions of Unite which shall have the authority to recognize new supporters and where necessary de-recognise existing supporters. 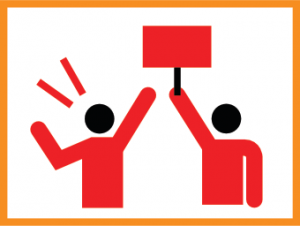 Recognised UL supporters shall be enabled to set up a UL Organisation in Unite’s Branch, Area, Industrial and Equalities structures and in any other body of the union. These Organisations shall maintain and protect rights of access and involvement of supporters as they deem appropriate. All National UL supporters must pay a contribution of at least £10 per annum to National UL funds. This sum can be varied at the discretion of National UL officers, e.g. £2 per year in cases of hardship. 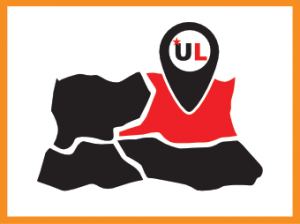 Regional and Sector UL organisers shall provide National UL officers with supporters lists and notify them of new supporters, which shall be reported to National UL meetings. 2. United Left shall maintain a journal, “Left United”, and website (unitedleft.org.uk), which shall in editorial matters follow the policy established by successive annual meetings of United Left. A “United Left” Fighting Fund shall be established. An internalised e-group shall be maintained, which will be open to those who support the core principles of United Left. 3. There will be an annual general meeting (AGM) of all United Left supporters, where office holding positions will normally be determined by means of seeking a consensus, or the establishment of at least an overwhelming +majority of opinion. In the event that there is no consensus, a vote will be taken by show of hands or the Chair may decide to use a weighted voting mechanism as determined by the NCC. The AGM shall elect the following officer positions, which are not roles subject to full-time employment by United Left: National Chair, National Vice-Chairs (2), National Secretary, National Treasurer, Editor, National Membership Co-ordinator and Equalities Organiser. 4. There shall be a United Left National Co-ordinating Committee (NCC), initially of 30 persons, there being 3 each elected from each of UNITE’s 10 Regions, with at least one seat per region held by a woman and including the UL Regional Co-ordinator. United Left regions are urged to ensure the composition of their delegates to NCC shall seek to reflect the membership In terms of ethnicity, minority groups, gender, age, region and industrial section. The Chair and Vice Chair of the EC UL group and any of the above national officers who are not elected to the NCC via their region shall be entitled to attend the NCC ex officio. There shall also be a National Officers and Staff Liaison Officer elected by UL supporters among Unite Officers and Staff, 1 National Equality Committee Liaison Officer elected by UL Co-ordinators from the National BAEM, Disability, LGBT and Women’s Committees and 3 National Industrial Liaison Officers elected by UL Co-ordinators from Unite’s Industrial Sectors within (i) Manufacturing, (ii) Services and (iii) Transport. 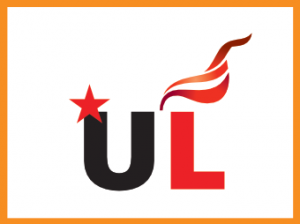 Further details about UL organisation in the Industrial Sectors and Equality Committees can be found in the United Left Structures document submitted as a proposal to the 2017 UL AGM. The NCC shall constitute such sub-committees and working parties as necessary, including a standing Editorial team for “United Left”. 5. The NCC shall meet as and when required to carry out the day to day running of United Left in between the quarterly meetings of National United Left, to which it shall report. 6. The quarterly meetings of the National United Left shall ensure all United Left supporters can take part in the democratic decision-making process on policy, or any other organisational matters. Such decisions to be arrived at by consensus wherever possible; otherwise the Chair may rule that there is no consensus, or a vote may be taken by show of hands, or the Chair may decide to use a weighted voting mechanism as determined by the NCC. One of the quarterly meetings shall be the AGM, and another shall take the form of a weekend political school. 7. Nominations for candidates for elected official positions in the union shall be made at appropriate meetings of United Left regional and sectional/trade bodies but will always be endorsed as part of the United Left national slate. Where appropriate hustings meetings will be convened. 8. United Left supporters should seek to fight for the core outlook of United Left. However, elected representatives shall not be deemed as mandated by United Left to vote in specific ways but will be expected to make a judgement based on their support for United Left balanced with their responsibilities to their official electorate base. 9. Meetings of National United Left shall be held quarterly and in rotation in varying parts of the country to enable maximum participation.